The Eurasian Economic Commission (EEC) is starting to become a bonafide source to get info about new and upcoming smartphones, it seems. Just days after the Huawei Mate 20, Mate 20 Pro and Y9 (2019) were certified by the Moscow-based agency, another much-rumored device has now apparently popped up on its website. 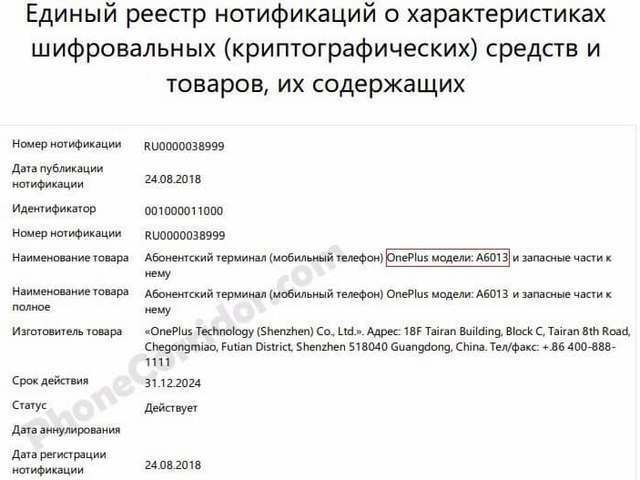 As can be seen in the image below (courtesy PhoneCorridor), the listing on the EEC website seemingly reveals the existence of the OnePlus 6T and suggests that the device will have the model number A6013. For context, at least one of the variants of the OnePlus 6 carries the model number A6003. As has been seen before, listings on the EEC website don’t reveal any data about hardware specifications of smartphones, so the only thing that’s revealed by the latest development is the fact that a 6T is indeed under development at OnePlus, as has often been rumored before. 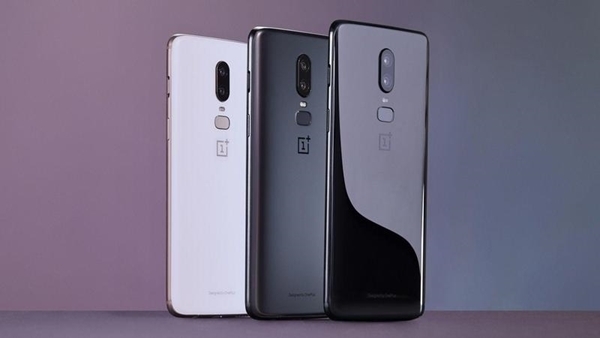 While OnePlus is yet to reveal anything officially about its upcoming handset, rumors suggest that the device will be the first one to be sold directly by a mainstream US carrier. According to reports, the OnePlus 6T will be backed by T-Mobile, very likely making it one of the best-selling devices in the history of the brand. The device will reportedly be priced at $550. A steady stream of leaks, rumors and speculations also seem to suggest that the OnePlus 6T will be more of an evolution over its predecessor, and will reportedly be powered by a Qualcomm Snapdragon 845 SoC, and will pack 6GB/8GB of RAM, just like the OnePlus 6. Overall, its design language is said to be similar to that of the Oppo R17 Pro, which means, it might incorporate a smaller teardrop notch and a bigger overall display, what with the R17 Pro featuring a 6.4-inch fullHD+ AMOLED panel. The other major change is expected to be in the camera department, with rumors suggesting that the upcoming OnePlus flagship will sport a triple-camera setup at the rear, just like the R17 Pro. It’s worth noting that none of the rumors have been substantiated thus far, but given that the OnePlus 6 was a reworked R15 Pro for the most part, it won’t be too much of a stretch to imagine that much of the R17 Pro hardware and design will be incorporated into the upcoming OnePlus device, making it a smartphone worth waiting for.